We are one of the leading manufacturers of packing materials and related machinery. The products are selling well in more than 20 provinces in China, and also exported to several countries and districts. We are pleased to welcome domestic and overseas friends to visit us and cooperate with us. Dongguan Junjingsai Packaging Machinery Co., Ltd. In the same production conditions as much as possible to save the power consumption of machinery. While Guarantee is not valid if the machine is used in wrong way or it is not serviced as shown in our technical handbook. We will enclose some quick wear parts with the machine when you place an order from us. The specific delivery time depends on the items and the quantity of your order. Q. 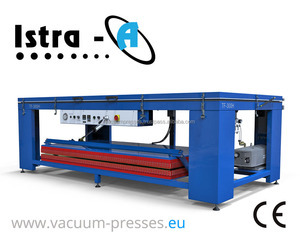 Do you test all your machines before delivery9 A: Yes, we have 100% test before delivery. Q. Do you have some videos where we can see the line producing9 A: Yes, we can provide some videos for reference. Be responible to all customers Strictly testing before deliver machines to customer. We promise every details of our machine is the best fabrication. (Click below picture to see working video) Cup stacking machine. The pin chain is controlled by motor with inverter. The feeding length is controlled by the encoder. The temperature of each zone is controlled by Temperature control module . Wenzhou Naijie Pack Co., Ltd.
Zhejiang Sumacro Machinery Co., Ltd.
Lianyungang Zeye Mechanical Equipment Co., Ltd.
PCetc 2.Tell us your exactly application, like advertising sign. 2. Power: heating rate of 3-5 minutes, acrylic sheet can be heated for 3 minutes. 4. Four-cylinder drive, positioning accuracy, not deviation, the cylinder is not easily broken. Shantou Jin Hong Sheng Machinery Co., Ltd.
Ruian City Junda Machinery Co., Ltd. PRODUCT DESCRIPTION Plastic thermoforming machine adopts Japan Yaskawa servo motor for sheet feeding and stretching, Germany Siemens PLC for programme, touch screen for operation, stable, low noise, high efficiency, suitable for producing disposable products like plastic bowls, ice cream cups, cold drinking cups, yogurt cups, trays, plates, covers, lids, containers, etc. 2.W hat about the payment term 9 Mostly 30%T/T in advanced, the rest need be paid by TT before shipping. 3.machine adjustment and installation we can send technicians go to customers' country for machine installation and adjustment. 7.automatic punching and cutting function. 8.automatic stack counting function. 9.edge automatic rewinding function. 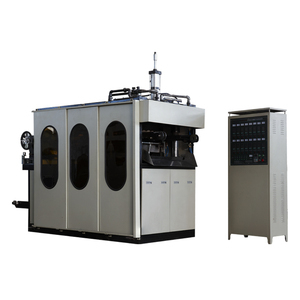 Ruian Poprun Machine Co., Ltd.
customization environmental protection and energy saving,reduce manpower and place,easy for operation,eminent performance automatic smart products. 4.How about the warranty9 The main components of the machine has one year warranty,within one year we will offer free repair. The warranty is not valid if the machine damage due to customers&rsquo;wrong operation or caused by force majeure factors. 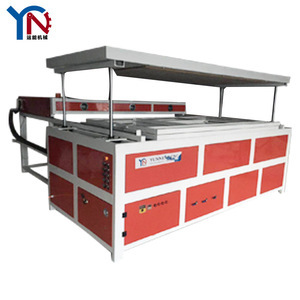 Solid Surface Thermoforming Machine, Corian Forming machine, Acrylic Forming machine, TF-300H, CE. 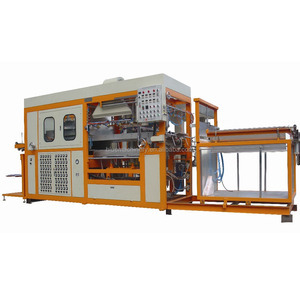 Alibaba.com offers 52,366 thermoforming machine products. About 52% of these are plastic thermoforming machines, 12% are plastic vacuum forming machines, and 3% are packaging forming machines. A wide variety of thermoforming machine options are available to you, such as free samples, paid samples. 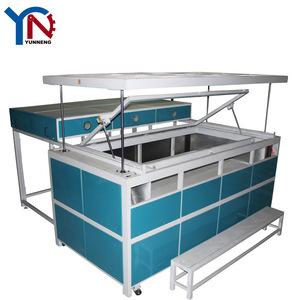 There are 51,867 thermoforming machine suppliers, mainly located in Asia. 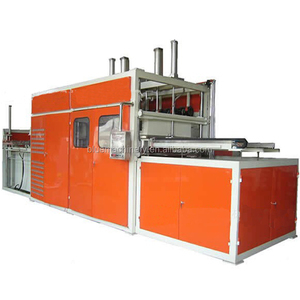 The top supplying countries are China (Mainland), Turkey, and Taiwan, which supply 99%, 1%, and 1% of thermoforming machine respectively. 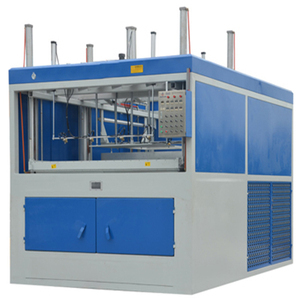 Thermoforming machine products are most popular in Mid East, Southeast Asia, and Africa. You can ensure product safety by selecting from certified suppliers, including 8,373 with ISO9001, 3,913 with Other, and 1,004 with ISO14001 certification.